After spending so much time with our phones, it only makes sense we want the best for them, right? 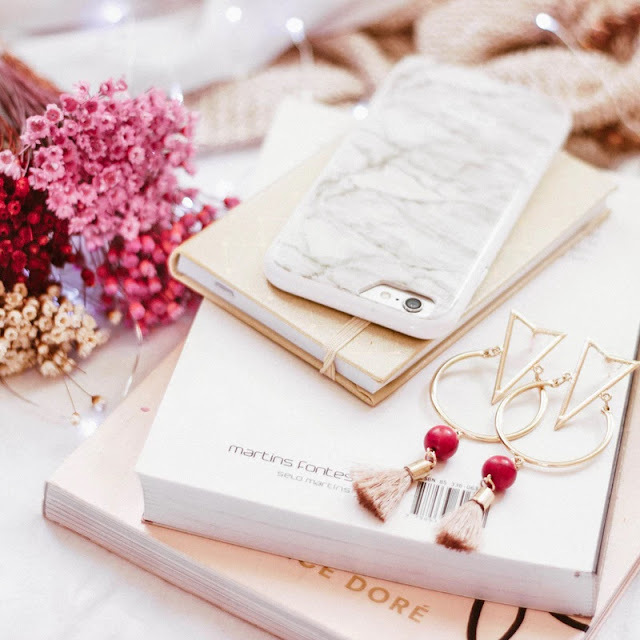 Marble was good enough for the Greek Parthenon, Roman Coliseum, and Indian Taj Mahal – so it makes sense why marble phone cases are so popular. This look is timeless – documented use dates back to 483 BC! In 2018, we certainly use our phones a lot. It essentially has become a fashion statement – saying something about our personality and interests with a single glance. Marble phone cases present a captivating design and sense of elegance. It’s no wonder it’s become a trend. However, the marble design doesn’t make for a marble material. The structure of the phone case makes a difference between a cracked screen or a safe fall. A naked phone can bring on anxiety with every fall or bump, as it can potentially spell doom for your device. Finding the right combination of attractive design elements and durability is important in choosing any phone case. Marble cases need to be the right amount of eye catching fashion statement and functional safety device. For those on the hunt for the perfect marble phone case, the search stops here. This brand basically turns your phone into marble. The cases are cute, functional, and durable. Each case is made with a premium protective metal. There are also several marble designs – so you’ll definitely be able to find something unique here! Casely pushes the limits of traditional marble and mixes in bright, fun colors for a look you won’t find elsewhere. The price is also pretty reasonable in comparison to others. If you are the more indecisive type, you can actually join a subscription service through Casely. With that, they will send you a new case each month based on your personal style. If you find a case you love, you can skip a month or just cancel. The one downside is that cases are for iPhones only – sorry Android users. Okay Android users, here is a company for you! Whether you are rocking a Samsung Galaxy or an iPhone, there will be a case for you here. These cases combine color and texture for a mesmerizing marble. Some cases also have a matte finish to serve as a scratch resistant surface. They’re super light, so if you don’t like bulky cases, step right up. These cases also have a front raised lip to help with screen protection. Prices are moderate with deals running every now and then. While the previous businesses focused on quality phone cases, Society 6 branches out from this. They have a wide range of products, but also a section of marble cases. These cases are simple snap-on/snap-off design. They tend to be very slim and made with flexible plastic. The designs are enchanting with quite a few more traditional marble looks, mostly combinations of white, grey, and black. The price is a bit higher than previous companies, but most seem to be reduced in the sale. This contender came to the list from the wonderful world of Amazon. Similar to Casely, most marble cases here are for iPhone users. These cases have a slim design with a hard coating for anti-scratch purposes. The plastic is softer, making it flexible and able to hug your phone closely. The soft plastic is supposed to be shock absorbed in the event of a fall, with raised edges designed for added screen protection. The price point is low, but the options limited. Ultimately, the best phone case really depends on the owner. Each of these companies presents an opportunity to find a case worthy of expressing who you are. Your phone is pretty much always on show, so why shouldn’t it say something about you? The trick is just finding the one to express your style and still able to protect it properly. Happy shopping!